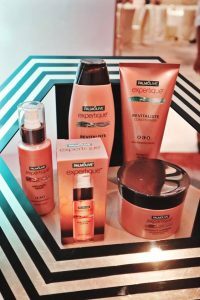 Palmolive Expertique hair care line brings you salon-beautiful hair everyday. With this line of hair products you can be your own hair expert at your very own home. 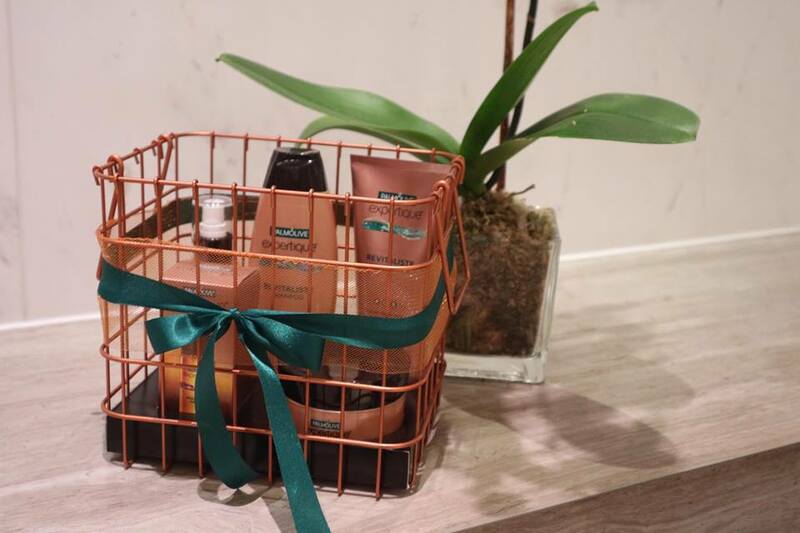 The struggle is real in maintaining that salon-beautiful hair days after but don’t worry Palmolive Expertique got you covered. This line comes with shampoo, conditioner, hair mask, anti frizz serum and beautifying oil. What makes this line special that it is infused with Kera-Ceramide Serum. Hair technology that makes hair nourished and stronger inside and out. Keratin gives the hair strength leaving it smooth and manageable. The Ceramide on the other hand prevents damage and restores shine. You don’t have to spend too much on expensive hair care products and it would be available in all leading supermarkets nationwide near you. Also that introducing their latest ambassador, the first Filipina to win Asia’s next top model, Maureen Wroblewitz. 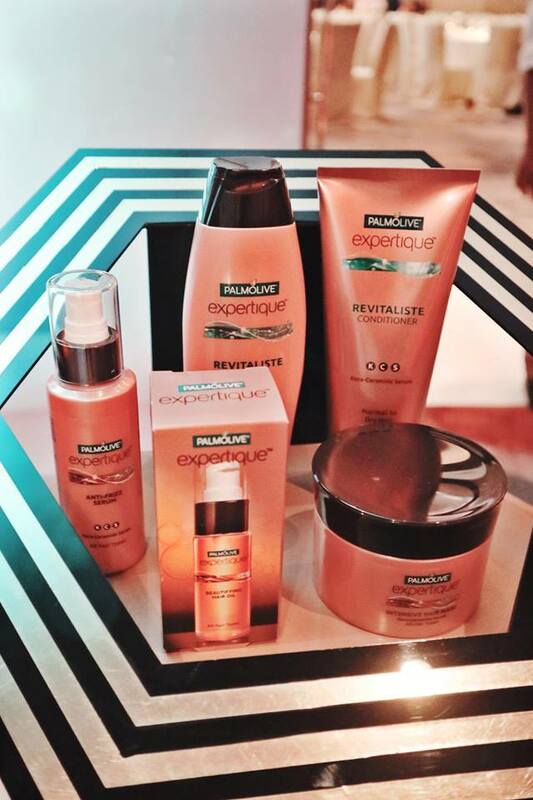 The shampoo and conditioner comes in 3 variants: REVITALISTE, SMOOTHIQUE and RESILIENTE. Available in bottles 170 ml (P130.00) and in sachets 12 ml (P6.00). REVITALISTE is for NORMAL to DRY HAIR, contains Kera-Ceramide with biotin and hyaluronic. It penetrataes and deeply nourishes hair fibers, enhancing hair’s vitality and natural movement. SMOOTHIQUE (This is Maureen’s personal favorite) this is for FRIZZY HAIR, contains kera-ceramide serum with rare oil complex. It aligns, tames and adds control to frzzy and flyaway hair. RESILIENTE for DAMAGED HAIR, contains Kera- Ceramide with arginine. It reconstructs and fortifies damaged, over – treated hair. Impressions: Affordable ofcourse!, It still has that signature Palmolive scent with a kick but fresher scent which leaves your hair really smelling good. Your hair feels light right after and a cool feeling on the scalp. I use a wet brush in combing my hair and I noticed less hair falling off and it’s super smooth with NO tangles at all. For the hair treatments, you got the INTENSIVE HAIR MASK 180 ml (P195.00), BEAUTIFYING OIL 30 ml (P195.00) AND ANTI-FRIZZ SERUM 70 ml (P250.00). Impressions: The Intensive hair mask is used after conditioner, I personally use hair mask atleast once or twice in a week, I leave it on for a few minutes especially when I go to the steam room and sauna. For Palmolive Expertique Intensive Hair mask, according to the label you can leave on for 2- 5 minutes then wash it off. For me after washing, this hair mask definitely gives you that cool feeling on the scalp and your hair is so smooth right after. Your hair feels light if that’s what you’re going for. The anti -frizz serum, comes in a spray bottle and I since I don’t have frizzy hair, I just hit the ends of my hair then distribute evenly since it prevents fly away hair. This is applied on towel-dried hair.